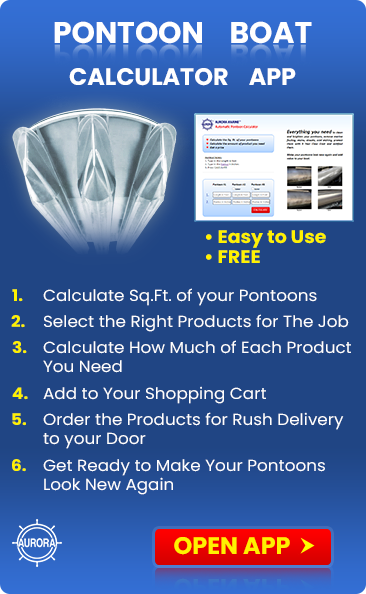 Will Alumetron protect my high polished pontoons better than Sharkhide? I have a Bentley tritoon with highly polished pontoons. I have used Sharkhide to protect the finish from the elements since new. No matter how cautious I may be I always seem to scuff the Sharkhide off which allows the aluminum to tarnish. My question is will Alumetron bond better to the aluminum finish of the pontoon? My goal is to extend the polish time to multiple seasons. Alumetron bonds chemically to the aluminum so it is very durable and can last up to 10 years. It can also be used in salt as well as fresh water and below the waterline as well as above. For additional resistance abrasion you can coat the Alumetron with VS721 (annual application). It will also help prevent marine growth from attaching and make clean up much easier and give you better performance and reduce fuel consumption. 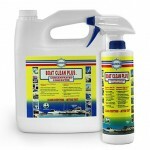 All coatings are susceptible to scuffing, scraping, dock rash, etc. The advantage of using Alumetron is that if you do get some abrasion damage, it’s easy to touch it up in the field and if done right, the touch up is invisible. 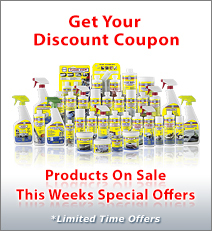 We sell Alumetron Repair & Maintenance Kit for that. The issue that you may have is with the highly polished chrome finish. Alumetron is water based and can only bond to clean and dry, raw aluminum. 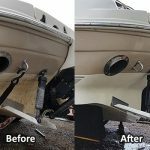 You will need to remove the Sharkhide and any other finish, coating, oil, wax or silicone that may be on the pontoons. This can sometimes be the residue from the polishing process. Doing so may reduce the high shine a bit. If you can live with that, the Alumetron/VS721 coating will give you much better durability and life. We guarantee the finish for up to 3 years if you also protect the finish with VS721. When professionally applied, the warranty can be extended up to 5 years.